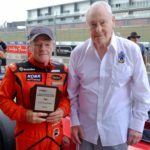 There was a poignant moment at the final round of the 2018/19 SAS Autoparts/MSC NZ F5000 Tasman Cup Revival Series at the big Legends of Speed meeting at Hampton Downs today, as the winner of the final race of the season, Ken Smith, was presented with his trophy by fellow category original Graham McRae. 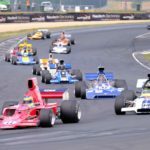 ‘It’s an honour to be presented..
It’s called the Legends of Speed meeting so it is only fitting that bona fide local motor racing legend Ken Smith heads the SAS Autoparts/MSC NZ F5000 Tasman Cup Revival Series entry list for the final round of the 2018/19 title chase at Hampton Downs this weekend. Now 77-years-of-age and contesting his 61st consecutive season of national level motor racing..
BMW drivers Bruce Miles (E36 320i Super Tourer) and Arron Black (E30 M3 Gp A) shared the spoils at the final round of this year’s Archibalds Historic Touring Car Series (HTC) at the annual Evolution Motorsport Classic SpeedFest at Invercargill’s Teretonga Park over the weekend. 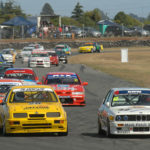 Dunedin ace Black qualified quickest and won the first of the three Cooke Howlison BMW-backed.. 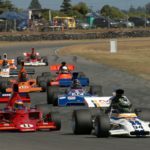 The lap record took a beating in the Formula Libre races at the Evolution Motorsport Classic SpeedFest at Teretonga Park in Invercargill this weekend. Former Southlander LeRoy Stevenson began the weekend in the Powderline sponsored class by winning the first two races in a Formula 5000 Leda LT27, breaking both the Formula Libre and Classic Single Seater lap record with..
Spectators at Teretonga Park were treated to some good racing during the opening day of competition at the Evolution Motorsport Classic SpeedFest at Teretonga Park in Invercargill today. There was much interest in the appearance of three Formula 5000 cars in the Powderline Formula Libre class and LeRoy Stevenson of Queenstown won both of today’s races in one of them..
Cars and drivers from around the world are set to descend on Teretonga Park in Invercargill this weekend for one of the most popular events of the season – the Evolution Motorsport Classic SpeedFest. 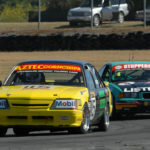 SpeedFest never fails to bring a fantastic array of rare, historic and exotic race cars from all over the world to Teretonga where they not only..
New Zealand’s Archibalds Historic Touring Car Series (HTC) has a new fan in four-time former Bathurst winner and now TV motorsport show co-host Greg Murphy. 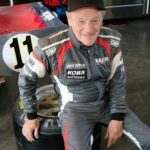 With fellow multi-time Bathurst 1000 winner Jim Richards, Murphy was one of two guest drivers invited to join the grid at the second round of the 2019 Archibalds NZ Historic Touring Car Series at the.. They say that the first win is the hardest and that after it subsequent ones come more easily. 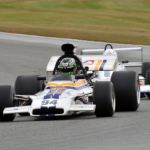 That would certainly appear the case for SAS Autoparts MSC NZ F5000 Tasman Cup Revival Series driver Michael Collins (McRae GM1). 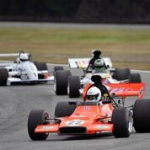 The 22-year-old from Christchurch claimed his first pole position at the third round of the 2018/19 series at Hampton Down last..
With pole position in qualifying this morning, and a breakthrough win over long-time SAS Autoparts MSC NZ F5000 Tasman Cup Revival Series pace-setter Ken Smith (Lola T332) in the afternoon, category young gun Michael Collins (McRae GM1) came of age at the annual Skope Classic historic motor racing meeting in Christchurch today. 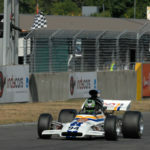 The 22-year-old dominated the South Island Formula Ford..